The protest was in Israel. Atlas has video from this amazing pro-Israel protest. 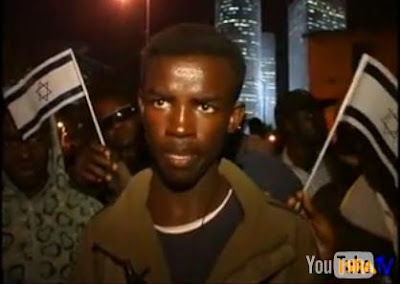 Israel is the only regional country that welcomed the persecuted citizens of Darfur who risked their lives to escape to freedom.